The filled in bubbles are where he is now. A bubble in the grey area means that the child should be monitored for future delays. 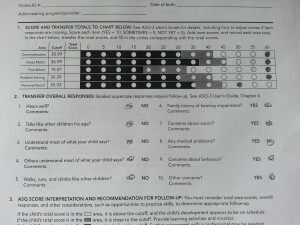 A score in the black means a referral for an intervention service. My autistic son started scoring in the black at 9 months. 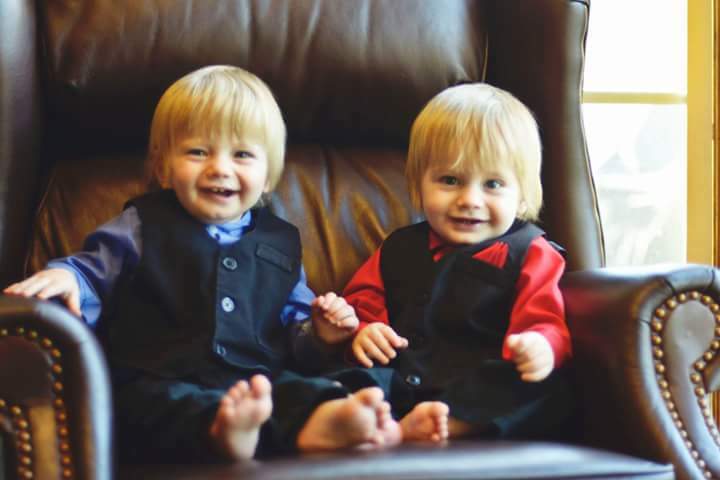 When our new doctor walked into the room and saw the scores, she wondered if I’d accidentally given her the scores for the wrong twin or if the autism diagnosis in the notes had been a mistake. Nope. In fact, I re-scored it at home just now with the help of his therapist who pointed out that he could actually do some things where I failed to give him credit. The only place where he’s behind now according to the ASQ is that he doesn’t dress himself independently, but his twin doesn’t either, and this particular one covers an age range 3 months beyond where he is now. I also realized while filling it out that I don’t really give them a chance to dress themselves. I’m one of those twin moms who likes to have my boys in coordinating outfits and part of me dreads the day they want to pick out their own outfits. Scoring so well doesn’t mean that he’s no longer autistic. He still qualifies for Occupational Therapy, Physical Therapy, and Behavior Therapy. Although his scores made the doctor doubt his autism in the beginning, when she tried to examine him, it became clear by his steadfast refusal that yep, he’s still very much autistic. And that’s OK. The autistic adults in our family have demonstrated that my son doesn’t need to be ‘cured’ of his autism in order to have a successful life. This also doesn’t mean that he will never score in the black again. As new challenges arise, he may struggle with some more than others, but with such a strong background, it is far more likely that he’ll find those challenges easier to handle. Compared to his severe delays before, he’s doing extremely well and has even surpassed his twin in several categories. Because he’s on track in so many categories, his therapists can narrow their focus considerably, which helps him excel even more. However, while we are celebrating his advances, I received his scores at the same time I saw a few posts in facebook groups that really dampened my mood because I realized that the biggest reason for his good scores is luck. Of course, a huge portion is the hard work that we’ve put in as a family. The hard work he’s done mastering these skills. 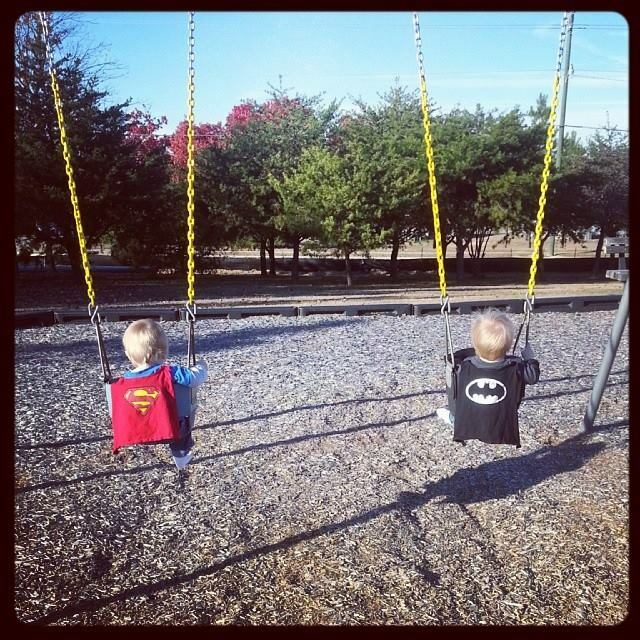 I’ve seen how he struggles to keep up with his brother. I’m not discounting the hours I’ve spent doing therapies, driving him to therapies, seeing specialists, researching, and focusing on his needs to the determent of my own career. Nor do I mean to ignore the support of my family members who happily help purchase therapy materials and allow us the ability to meet our son’s needs so that we can make the world is a comfortable place where he feels secure, instead of trying to push us to force him into a NT mold. I know these things matter and matter deeply. 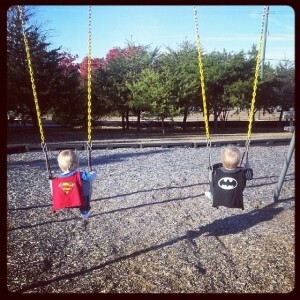 Yet, there are parents who put in far more work than I do without these results. Sometimes their children have comorbid disorders that inhibit learning, but often these parents and children are not so different than our family except for a few key points which made a world of difference. They didn’t have access to quality early intervention screening. I see so many parents given inaccurate information when they express concerns over their children behavior. Not only do parents have their concerns dismissed in parenting message boards and groups, but many pediatricians, unfamiliar with early warning signs of autism, dismiss parental concerns. Studies, such as this one, have found some pediatricians stand in the way of autism diagnosis. Zuckerman compared the information for children who were eventually diagnosed with an autism spectrum disorder to children with an intellectual disability or developmental delay, two other intellectual problems that first show up in early childhood. About 14 percent more of the children with an autism spectrum disorder received a passive response from the health care practitioner, and were diagnosed about three years later than the children with other intellectual problems. This can be very easily changed by taking parental concerns seriously and teaching parents how to check for delays or red flags at home. Greater awareness as to how autism presents would help both parents and primary care managers recognize autistic children. They didn’t have access to quality early intervention specialists. I have heard so many horror stories from parents who did see early intervention specialists only to be told inaccurate information about their child – namely that their child didn’t qualify for an autism diagnosis when their child actually did. The EI coordinators never suggested seeing specialists such as developmental pediatricians who could provide a diagnosis even though the child had severe delays in multiple categories. An early referral can make a world of difference due to long waist lists for developmental pediatricians. The parents are delayed in obtaining services for several years, which can negatively impact their child’s development. It turned out that we were incredibly lucky to have lived on a military post and be an active duty military family when my son was going through the Early Intervention process. The quality of the EI on post compared to where we live now, which is a 10 minute drive away, is night and day. I have to chase down my son’s service coordinators and fight to get coverage through the state. When discussing service plans, the EDIS (military’s EI) was more than eager to enroll my son in services, while the CDSA (NC’s EI) seemed to want to kick him out of services as soon as possible. They didn’t live in a state that had adequate services. With $18 million slashed from the Early Intervention budget here in North Carolina and offices shutting down, it’s no wonder that parents are finding it difficult to obtain the basic services their children need. It isn’t just in NC, parents all around the US have reported long wait lists for basic therapies – speech, occupational therapy, physical therapy, etc. Even when EI services are easy to obtain, seeing a developmental pediatrician or other specialist capable of diagnosing autism normally requires spending months on a wait list. In some areas, over a year. When parents are able to get in, the quality of the specialists varies considerably. In some places, only the most severely delayed children will be diagnosed with autism before 5, while in others, specialists are more aware of the latest information. It’s not uncommon for parents, especially of girls, to be told inaccurate information about what qualifies for an autism diagnosis, or for their children to be given another diagnosis, usually ADHD, which delays the autism diagnosis. While ADHD and autism can certainly be comorbid, each diagnosis carries a different approach and certain services are only available with an autism diagnosis. Imagine if the state you lived in determined if your vision or hearing impaired child received services before 5. If you couldn’t get leg braces for a physically handicapped child before 5 due to a specialist stating your child wasn’t severe enough, yet those services were covered at that age in other states. It happens all too often with autism. They didn’t have insurance coverage for necessary therapies. Although some families can afford to pay for the therapies using insurance money if the states can’t provide the services, many can’t. When it comes to ABA therapy, the form of therapy most commonly ‘prescribed’ for autism, insurance companies aren’t required by federal law to cover it, so many parents are forced to do without. 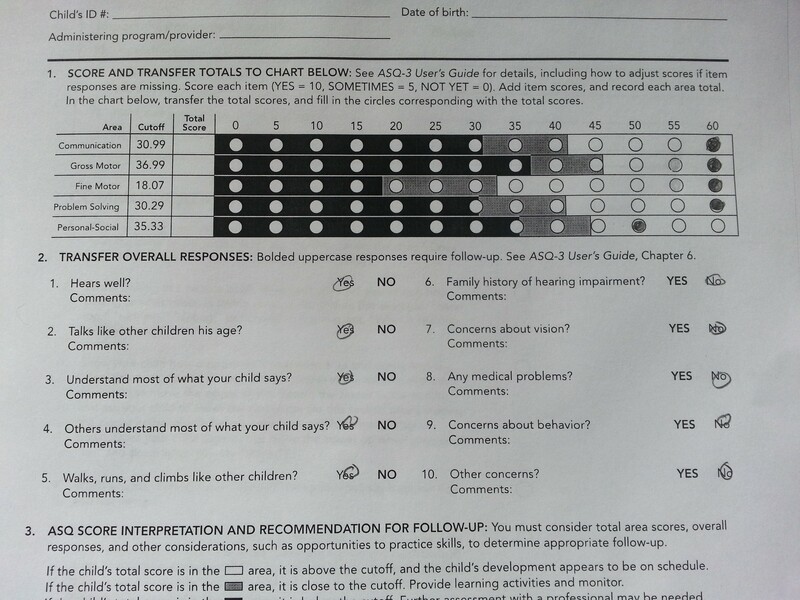 It seems incredibly insane to me that my son – a fully verbal, academically advanced child who is partially potty trained – has access to a full time aide to be with him at school or home whenever he needs it, while other families I know get zero behavior therapy despite the fact that their children are much older, lack any form of reliable communication, are in diapers, and have severe behavior problems which make it dangerous for them to be left alone. Some of these families have to fight just to get basic therapies like speech covered. While there are a lot of very important debates about which behavior therapies are best and how they should be applied, for many families, behavior therapy is the difference between autism as disability and autism as benefit. They didn’t have the right therapies/therapists. There is a lot of debate about which therapies should be used, how therapy should be conducted, and what the focus on therapy should be. Since autism is a spectrum disorder and likely has multiple causes, there are a lot of opinions, but not a lot of clear cut answers. As a former research scientist, I’m pretty good about separating out evidence-based practices and ignoring scams, but I still was overwhelmed with the different types of therapies I came across and opinions on those therapies. This report found 27 therapies to be evidence-based. Even with a proven therapy, like speech therapy, a bad therapist can really slow the development of your child down. My son had one therapist who insisted on restraining him and getting in his face. He was an autistic 2 year old. She didn’t last long. Unfortunately, it’s fairly common to hear about 2 year olds being restrained and drilled with flashcards. Other families I’ve met have reported similar problems, with reports of feeding therapies that made their children even more picky, ABA therapists that abused their clients, OT therapists that pushed for mom to leave which caused intense separation anxiety, etc. I was lucky to have autistic adults in my family that could explain autism to me and help me pick out good therapists. I knew from my autistic adult family members that eye contact was likely painful for my son and that helped me stand up for him against therapists that wanted to push eye contact. Their voices were key to picking out good therapists, figuring out what to work on in therapy, and how to do therapy. I was also incredibly lucky in that I happened to stumble upon The Early Start Denver Model, which is a therapy developed out of UC Davis, where my husband and I both went to college. I trusted it partially because it seemed to do well in studies, partially because it was designed for very young children when the other two therapies I had tried before were developed for older children, but also because I love UC Davis. It seems to have worked well for my son but, since it is an emerging therapy, it’s too soon to say for certain if it’s a successful form of therapy for all autistic children. We also enrolled in a study for Joint Attention Mediated Learning, which is a new form of therapy. It’s possible that this form of therapy, on which we’ve spent a fair bit of time, will turn out to be ineffective and that we should’ve been focused more on the ESDM or some other therapy. It’s also possible that this therapy was key to our success. It’s also possible that we only appear to have success with regards to milestones and more and deeper developmental delays will appear with time. Either way, I know the foundation we build now will help so much with my son’s future. As much as I celebrate his achievements, I can’t help but think of the children I know who were and are denied these achievements, not because of their autism or innate abilities, but because of a society which fails to adequately support autistic children. Sad to say, it does not get better for autistic children with age in terms of social support. Quite the opposite. Part of the reason I work so hard now at finding the best way to support my son is that I can expect his services to drop off dramatically when he turns 18, even though autism doesn’t. I know so many amazing, talented, hard-working parents who so desperately love their autistic children and want the best for them, yet are thwarted constantly in obtaining the help their children so desperately need by a society that, for all we ‘light it up blue’ fail to provide even the most basic services that could really change lives. These services have certainly changed our lives. 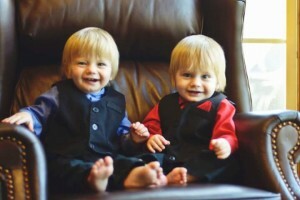 The boys at 1 year old.